The electric motor is the main component of the electric vehicle. Its tasks include the drive and recuperation, i.e. energy recover, during the journey. Modern electric motors are impressive compared to combustion motors due to a high torque at low speeds and a high degree of efficiency (> 94%). 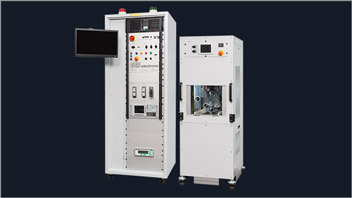 In doing so, high currents and high voltages are applied during operation. These currents that sometimes exceed 600 V can however, present a major safety hazard, because in the event of damages to the isolation, a high voltage is applied to the housing. 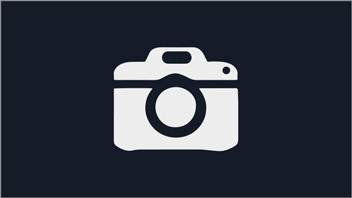 In the case of the user, this can lead to severe or fatal injuries. Therefore, a high-voltage of the motor is essential. Any questions? We will be pleased to answer them! This is why you should trust SPS electronic! Put your faith in experience! 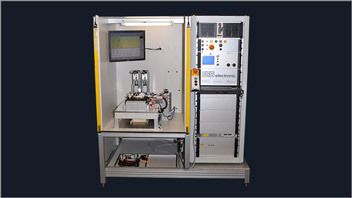 Here at SPS electronic, we have many years of experience in the development of engine test benches for function and safety checks. 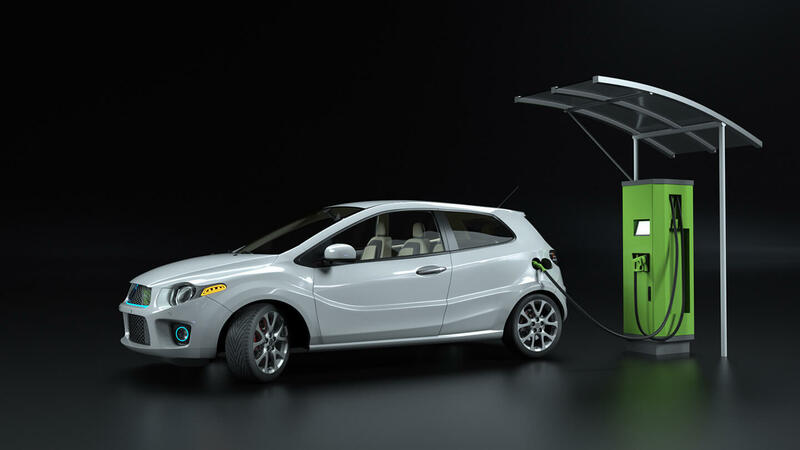 What may be completely new for the electromobility sector, is actually technology that we are already familiar with. Benefit from our unique expertise that has grown over the past few decades thanks to numerous projects and close cooperation with our customers. We plan, develop and deliver complete test systems required for electric and electromechanic tests. In-depth consultation in advance as well as customised planning of the test system according to your requirements, results in a special hardware and software design. Regardless of any special requirements you may have – either concerning the sequence of the parameters to be tested, the type of device under test support or even contacting – at SPS electronic you will be provided with a well-thought-out overall solution from a single source! We attach great importance to SERVICE! Our main priority is to ensure the satisfaction of our customers. In our opinion, this includes a comprehensive consultation in advance as well as first class support during processing. However, our service does not come to an end with the delivery of a test system: we are also there to help you with the commissioning of the system. Our technical support team can quickly and competently help you via the telephone, online or onsite for any questions you may have or faults you have noticed. Have you any questions about our field of competence? The starter-generators are tested at the end of the line following production. The contacting of the specimen is fully automatic and significantly reduces the cycle times. In addition to safety tests such as the high-voltage, insulation, and surge voltage tests, it is also necessary to have functional tests such as the rotational direction recognition, current consumption test, power measurement, locked-rotor-test and the resistance measurement. This test system is based on our tried-and-tested surge voltage tester ST 3800L. Existing errors in winding goods as well as preliminary damages, interturn faults and insulation errors can be recognised before they lead to a failure of the motor. After the manual contacting of the DUT via the Kelvin clamps, a high-voltage test is carried out incl. ARC detection, insulation test, resistance measurement and surge voltage test. 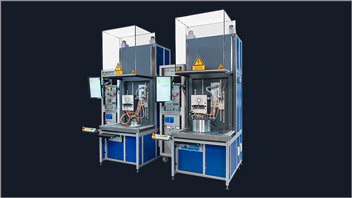 Two test systems were required for integration into the production line in order to test the stators before and after impregnating. Both stations were setup almost identically in order to be able to use both test systems for both types of tests during peak times. Due to the necessary flexibility, the system was developed in a universal DUT interface, which made it possible to contact all existing DUT without needing to convert to the test station. A solution with a pneumatic clamping system was selected because the short testing time was crucial. Furthermore, test adapters were developed for the polarity test, which can easily be inserted in the DUT and as a result of their high-voltage strength, they do not need to be removed during the test. Personal safety is guaranteed by means of a test cover with clamping protection. We can advise you individually. 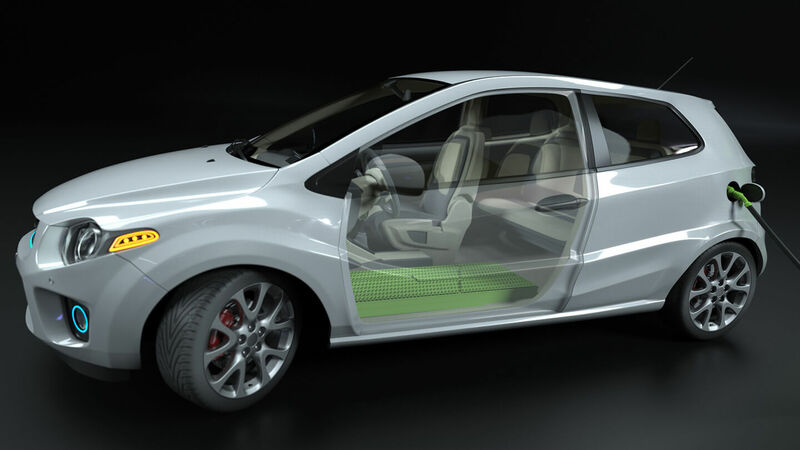 The battery is the core of the electric vehicle, which ensures the energy supply of all other components. It is composed of thousands of parallel and serially interconnected battery cells. Due to the high energy density, there is a risk of explosion if there is a defect, which in turn can result in the loss of the vehicle or severe injuries to the user. In the event of an accident, the battery must immediately be disconnected from the high-voltage system in order to guarantee the safety of the rescue teams. 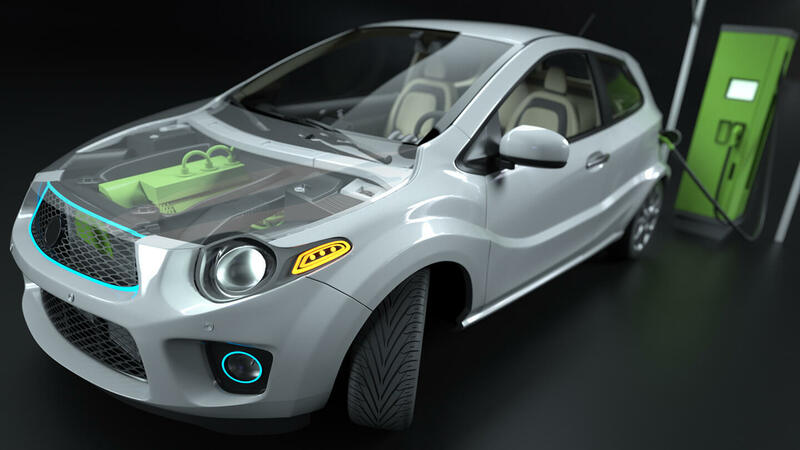 The cells and modules of the battery unit must be tested prior to use in traction batteries in order to ensure that they the meet the high requirements of the automotive industry. This is why you shuld trust SPS electronic! Hipot testing is one of the most important issues in the area of electrical safety. Since the foundation of SPS electronic in 1980, we have been dealing with high current and high-voltage technology, which quickly turned into our passion. Thanks to numerous projects for our customers from different sectors, we have developed unique knowhow in the course of the years, which is now also being used in the sensitive battery technology used in electromobility. The main requirement of this test system for the automotive industry was to cover the respective tests that were required by law. The test sequence should be fully automatic following the one-off connection of the DUT and thus, reduce the cycle times. The contact resistances are measured in addition to the insulation resistance and high-voltage test. This requires the use of a safety-current limiting safety tester, IL 3881F, by SPS electronic. The safety-current limited high-voltage and insulation test ensures that the user does not require additional workplace protection such as a test cover or two-hand operation as per EN 50191. 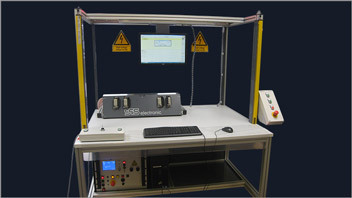 A particular feature for the test of on-board distribution systems is the high current resistance test. In doing so, the DUT is impinged with a power source and the resistance is measured using a 4-wire system measurement setup. Furthermore, the following test are performed: High-voltage, insulation resistance, μOhm measurement, current measurement using hall sensors and current measurements using shunts. 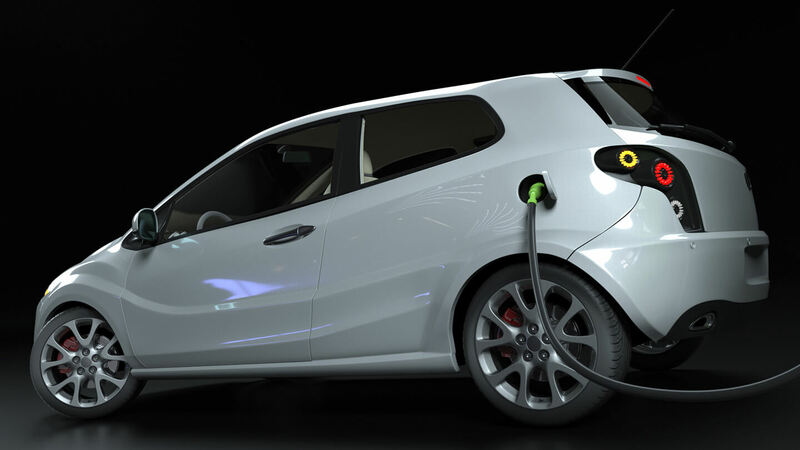 Modern electric vehicles have large batteries and need to be charged faster. The charging cable and plug guarantee a secure connection between the charging station and the vehicle. Currents exceeding 400 A can present a significant danger if the wiring is incorrect or the insulation is damaged. Other stresses in every day situations, for example, are presented by mechanical friction or environmental influences. If current flows through one of these devices on the earth, it is likely that it also has a cable and plug, which must be tested with regard to function and safety. Whether it is a household appliance, medical tool or motor cables, it is only of secondary importance with regard to the safety test. Thanks the numerous projects from various different sectors, we have been able to accumulate comprehensive, detailed knowledge over the last decades, which is now also being used in electromobility. Regardless of whether high current measurements or safety and functional tests – we will create individual solutions for you. We plan, develop and deliver complete test systems required for electric and electromechanic tests. In-depth consultation in advance as well as customised planning of the test system according to your requirements, results in a special hardware and software design. 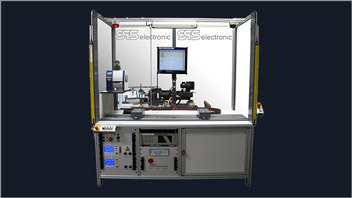 Regardless of any special requirements you may have – either concerning the sequence of the parameters to be tested, the type of DUT support or even contacting – at SPS electronic you will be provided with a well-thought-out overall solution from a single source! Due to the functionality of the automatic creation of the continuity test in new products, it was possible to clearly reduce processing time. Additional testing possibilities include: High-voltage, insulation and resistance tests. 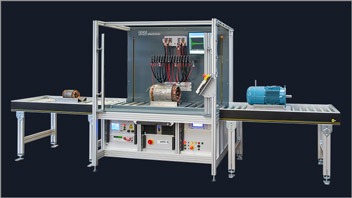 This compact test system was developed to test different motor cables with lengths up to 50 metres. The universal adapter interface guarantees the easy integration of different devices under test. This contains a freely switchable high-voltage matrix as well as a freely switchable continuity test to test the wiring. Furthermore, the PE connection to the connector housing is also tested. 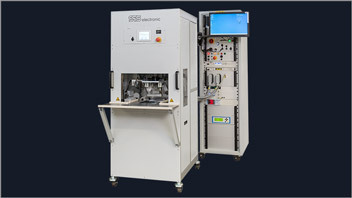 The requirement of this system for the automotive industry lies in testing different cables with up to 10 wires and different plug-in connectors for electric motors. Despite, the small distances of the individual terminal lugs, a high-voltage test with up to 5,500 V AC and 6,000 V DC should be possible. The pedelec motor supports the driver, while the driver steps on the pedals. Thus, the pedelec is perfect for the elderly or people with knee problems, and it is also experiencing a boom among other groups of people. A direct link between man and machine is a prerequisite for a detailed test in order to minimise the risk of injury. Since the motor is self-propelled, but can also be driven via the pedals, the requirements of the functional test are very comprehensive. For the functional test, the motor is mechanically contacted to both pedals and operated via two independent load machines. DARUM SOLLTEN SIE AUF SPS ELECTRONIC SETZEN! Wir von SPS electronic verfügen über jahrelange Erfahrung in der Entwicklung von Motorprüfstände für die Funktions- und Sicherheitsprüfung. Was für die Branche Elektromobilität gänzlich neu ist, ist für uns bereits vielfach angewandte Technik. Profitieren Sie von unserem einzigartigen Know-how, das in den vergangenen Jahrzenten dank unzähliger Projekte und der engen Zusammenarbeit mit unseren Kunden gewachsen ist. Erhalten Sie alles aus einer Hand! Wir planen, entwickeln und liefern komplette Prüfanlagen für die elektrische und elektromechanische Prüfung. Eine ausführliche Beratung im Vorfeld sowie die individuelle Planung des Prüfsystems nach Ihren Anforderungen führt zu einer speziellen Ausführung der Hard- und Software. Welche besonderen Bedingungen auch vorliegen – sei es in der Abfolge der zu prüfenden Parameter, der Art der Prüflingsaufnahme oder auch der Kontaktierung – bei SPS electronic erhalten Sie Ihre durchdachte Gesamtlösung aus einer Hand! Die Zufriedenheit unserer Kunden steht bei uns an allererster Stelle. Dazu gehört für uns eine umfassende Beratung im Vorfeld sowie eine erstklassige Betreuung während der Abwicklung. Doch unser Service endet nicht mit der Auslieferung eines Testsystems: auch nach der Inbetriebnahme stehen wir Ihnen mit Rat und Tat zur Seite. Bei Fragen oder Störungen unterstützt Sie unser technischer Support telefonisch, online oder auch vor Ort schnell und kompetent. Sie haben Fragen zu unserem Kompetenzfeld? 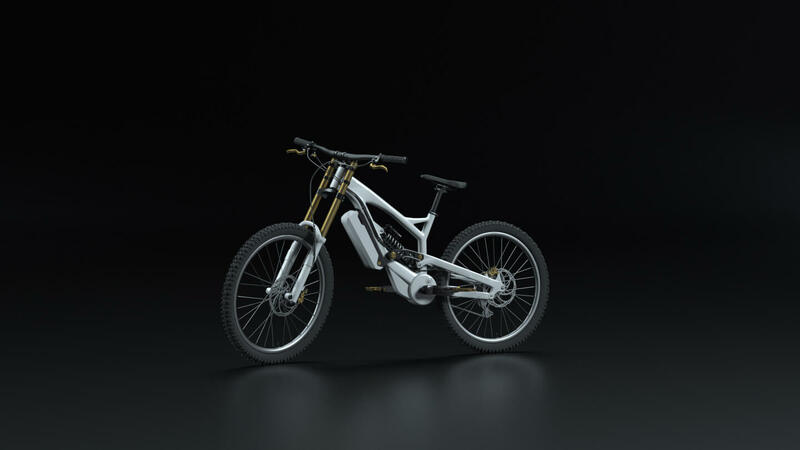 The e-bike motors are subject to a complete, fully-automatic functional test including communication test. A load simulation is carried out via the frequency converter-controlled synchronous motors with a very accurate measurement resolution of the torques and rotational speeds in order to detect even the smallest frictional torques in the planetary gear. The technology was installed in a compact unit with line connection. ...because we are capable of what we do! For almost 40 years, we have been developing and producing test technology in the area of electrical safety and have been selling them worldwide. From individual planning, development through to support – with our help, you can always be sure to have an experienced partner at your side. …because only those with the ability to impress, give it their all! 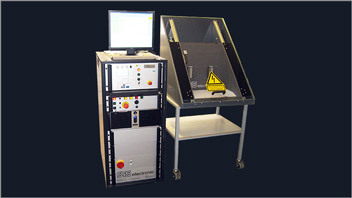 We specialised in creating test and inspection systems that were individually tailored to customer requirements. In doing so, we grow with each challenge and always find the perfect solution – regardless of what testing task you are faced with. ...because only those that improve, move forward! Our test systems as well as our serial devices and matching accessories are continuously further developed and thus, we are always one step ahead.